The Columbia County Democratic Committee congratulates Senator Cecilia Tkaczyk and the people of our neighboring counties for her win in a district which Senate Republicans drew specifically for her opponent. The 46th State Senate District, which covers Albany, Greene, Montgomery, Schenectady and Ulster counties will now be represented by a Democratic Senator who supports campaign finance reform including public financing of campaigns, a woman's right to choose and a moratorium on "fracking". 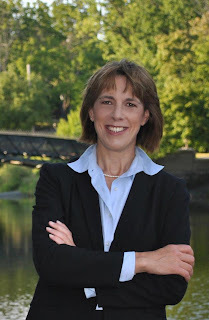 Columbia County Democrats welcome Senator Tkaczyk to the New York State Senate!